From last night, Tuesday, January 14th. If you haven’t seen this, you gotta watch it. If you have seen it, well, hope you decide to watch it again. 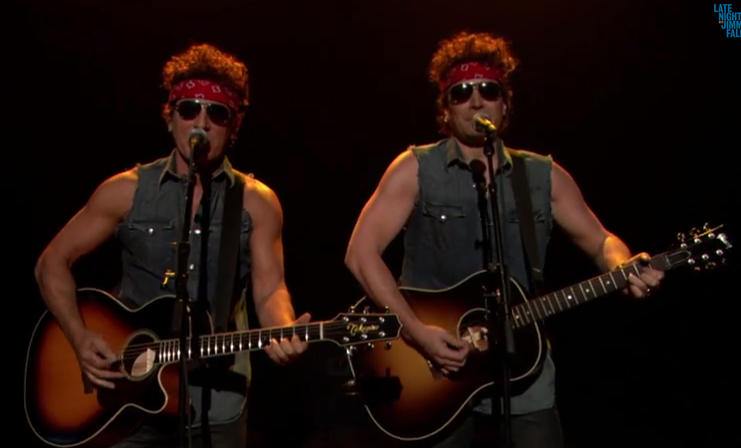 Bruce Springsteen & Jimmy Fallon rework “Born To Run” to address the Fort Lee, NJ bridge scandal. The Boss rocks! I caught just a bit of this last night. Fun to see it all. These two are so damned talented! It was awesome to see The Boss rework one of his songs to fit the situation so well. Kudos to Bruce and Jimmy! Did a great job, too.